Washington had initially vowed to reduce Iran's oil sales to "zero", but later backed down and granted waivers to almost all of Tehran's major crude buyers. Tehran: Accusing the US of trying to push India away from Iran, Iranian President Hassan Rouhani said on Tuesday that Washington cannot stop Tehran from exporting oil and warned that no crude will be exported from the Persian Gulf if Iranian oil sales were blocked. Washington had initially vowed to reduce Iran’s oil sales to “zero”, but later backed down and granted waivers to almost all of Tehran’s major crude buyers. “The US should know (this) that we sell and will sell our oil and it will not be able to block Iran’s oil exports. 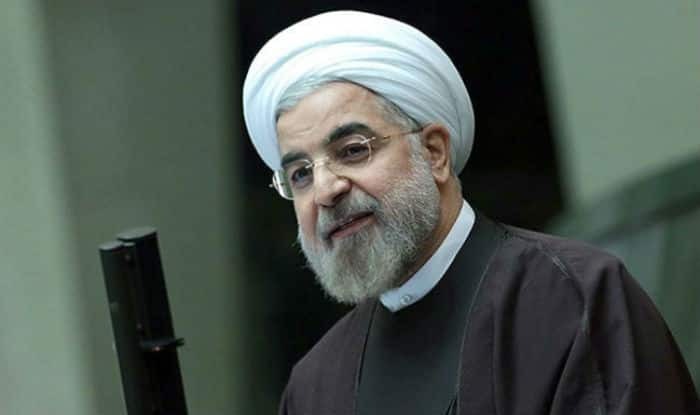 And it should also know that if it attempts to stop Iran’s oil (sales) someday, no oil will be exported from the Persian Gulf,” Rouhani said during a speech in Semnan province’s Shahroud city. “We will expand our relationship with neighbours, the Muslim countries and the world,” Rouhani was quoted as saying by Press TV. He added that the US was trying to push Europe, China and India away from Iran and “spread Iranophobia in the region”. Rouhani said that “Washington always suffered defeat in its several hostile plots against Iran”. He added that all countries “condemned Washington’s sanctions on Tehran, the US was defeated in the UN Security Council and the International Court of Justice (ICJ) in The Hague” over the issue. The Iranian leader also took an aim at Tel Aviv, saying that “the US and Israel cannot tolerate the existence of a powerful Tehran” and added that his country would never bow to them.